Painting Wargames Figures: French 4pdr "à la Suédoise"
French 4pdr "à la Suédoise"
These illustrations have been done by my friend Christian Rogge and he has kindly allowed me to post them here before they go onto his own blog (http://crogges7ywarmies.blogspot.com).This is a French 4-pdr battalion gun "à la Suédoise" employed during the SYW. 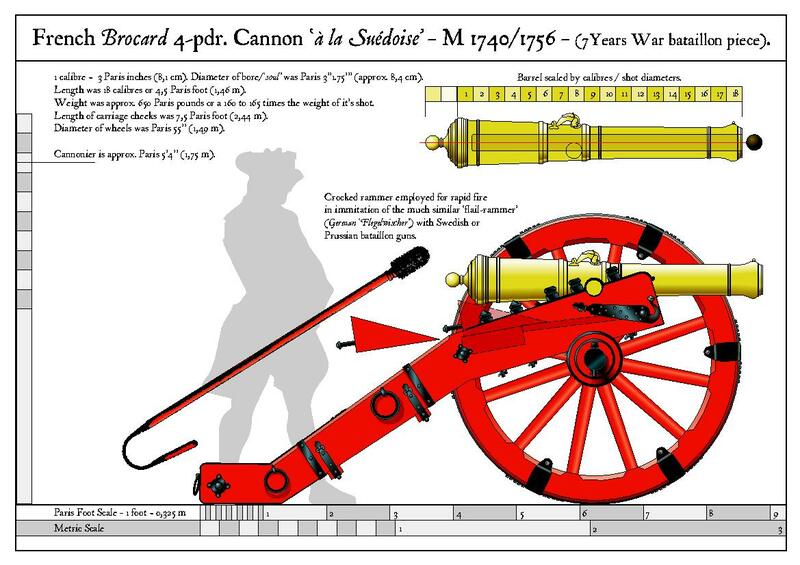 It is a very accurate scale drawing and should be invaluable to those companies wishing to model this gun and to gamers of the period. The closest I have seen in 25/28mm is the one by Elite. 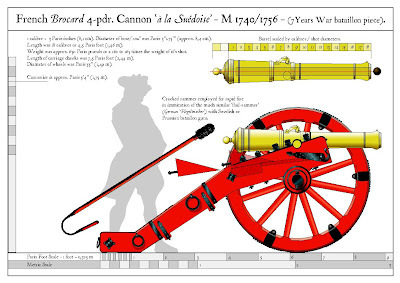 We differ on the colour of the guns, he thinks red, I think blue, but the jury remains out on this subject so you make up your own mind. I just saw my own copies of the new Greenwood & Balls today and I’m pleased with them. 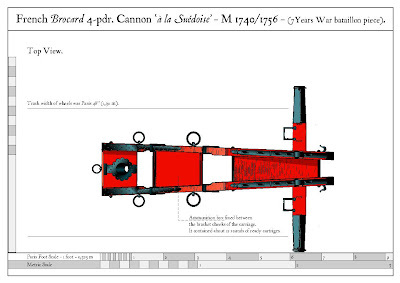 I wonder whether we might consider adding a title to the range on the subject of Artillery of the SYW. If you would be interested, please let me know. Just discovered this blog while searching on Austrian SYW uniforms. Like the idea of painting up some units in WAS colours. When finished will be starting on Prussians, so this site is extremely useful. Currently gaming using Minden Rose rules, but thinking of getting Sam Mustafa's Might and Reason for bigger historical scenarios as will not need to rebase, Any comments?